The South West Hub Carbon Capture and Storage Project team, led by the Western Australian Department of Mines and Petroleum (DMP) is committed to an open process of community involvement during all stages of the project. The project team host regular community information sessions and make regular appearances at local agricultural shows. 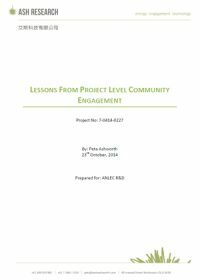 In October 2014 the project team released this report, ‘Lessons from Project Level Community Engagement’ that discusses the impacts and effects of the public engagement program undertaken by DMP. This report is written by Peta Ashworth, Ash Research, for ANLEC R&D. A Day in the Life of a Carbon Atom. Starring: Adom is published with thanks to the students and staff at St Michael’s Catholic Primary School in Brunswick Junction, Western Australia Department of Mines and Petroleum, Commonwealth Scientific and Industrial Research Organisation (CSIRO) and CarbonKids. 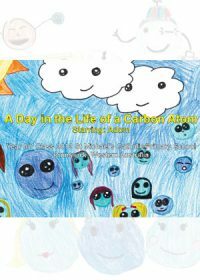 The illustrated children’s book was created by year six and seven students and highlights the carbon capture and storage (CCS) process. The book was launched at the 2014 National CCS Conference in Sydney, Australia. The project was part of the CSIRO’s CarbonKids program which is also supported by the Global CCS Institute. 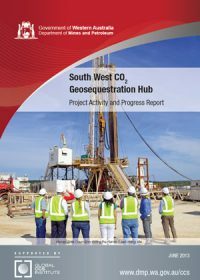 The South West CO2 Geosequestration Hub project (the South West Hub) is a government industry partnership led by the Western Australian Department of Mines and Petroleum (DMP). The South West Hub is Western Australia’s first onshore Carbon Capture and Storage (CCS) trial project. The purpose of this report is to provide an overview of the South West Hub project and an update on recent activity and outcomes of the Harvey 1 well drilling program. Results from Collie CCS Hub workshop: what do the locals think? explore the effectiveness of a participatory one-day workshop process to enable more informed dialogue about the issues and risks regarding climate change science and energy technology options. Information was presented on climate change and low emission energy sources and related technologies, followed by a presentation on CCS and the Collie Hub project. The workshop resulted in a number of significant improvements in participants’ self-rated knowledge of climate change and related issues. The vast majority of participants expressed agreement that climate change was an important issue to Australia. The reports outline the process and information from the community consultation in Harvey and detail the Collie CCS Hub workshop results. A separate document outlines the questions (and answers) raised by the workshop attendees. 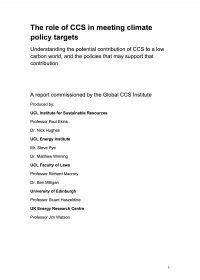 These documents provide useful information for project proponents looking to undertake similar community consultation activities, and highlights some of the issues pertinent to the public within the CCS space.